Hire the Khloe in natural to store all your essentials. Party perfect with a detachable shoulder chain, this is a must-have for any cocktail look. Finished a soft matte tan texture with gold hardware, it features Olga Berg’s signature embossed clasp. 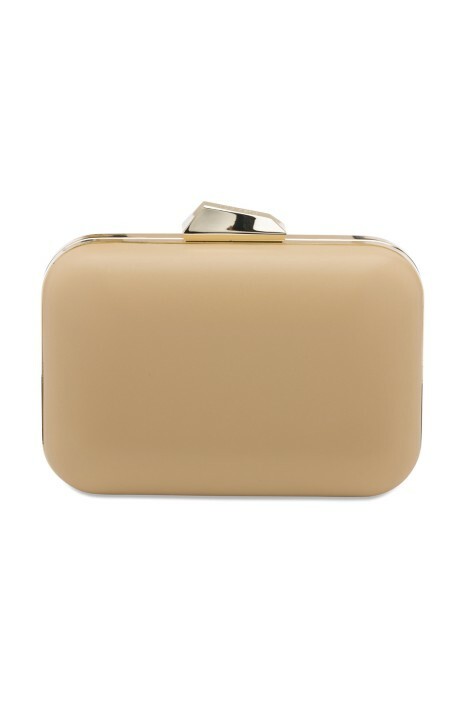 Rent this clutch to pair with a neutral look or to break up a black tie ensemble. Match with gold jewellery for the perfect warm tones. Read our blog post for more tips on how to style accessories.